Different variations of the cotton sarees are worn all over India. These lightweight sarees are popular for a number of reasons however the primary factor that drives the demand for these exquisite ethnic ensembles is the Indian climatic conditions. In the equatorial region of India, the climatic conditions are often warm and humid and the winters are short and barely apparent. Under the climatic conditions, the cotton saree is ideal garment for women’s wear. This is the driving factor behind the popularity of cotton sarees across India for work wear, casual wear and festive wear. While the saree is popular all over India and even in some neighboring countries, there are a number of states that have their own traditional versions of the cotton saree. Examples of these states are Assam, Orissa, West Bengal and Tamil Nadu. In some states where the cotton saree is highly popular there is more than one popular variation. Fortunately with the advent of e-commerce one can source all these sarees anywhere in India or the world by just buying variations of cotton sarees online. Listed below are popular variations of easily available cotton sarees online. The TaantSaree is by far the most popular variation of the cotton saree to come out of West Bengal. This popular saree is highly treasured by Bengalis and is the preferred garment for festive occasions such as Durga Puja which the Bengali version of Dussehra celebrations. The Taant cotton fabric is genrally stiff at is starched and can be difficult to wear however it is lightweight and porous which makes it perfect for hot summer wear. The Khadisaree has been the favorite with Indian women for a while now. Khadi has been widely promoted as an indigenous fabric by the Indian government since the early years of Indian Independence which is one reason why many wear Khadi with a sense of nationalistic pride however the Khadi saree is also extremely popular for its aesthetic appeal. The Khadi saree is genrally most preferred in natural earthy shades and is often dyed with natural dies to accentuate its eco-friendly appeal. Sarees are equally popular in Bangladesh as they are in India. Bangladeshi women to large extent prefer the saree for daily wear and festive wear. The cotton saree is so popular in Bangladesh that they have they own indigenous version known as the Dhakai saree. While Dhakai is the popular name for these sarees named after the capital city of Dhaka, these exquisite creations are also known as Jamdani. 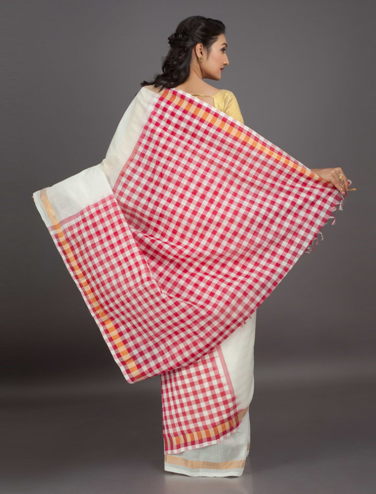 This handloom woven cotton fabric is a variation of muslin cloth that is truly unique. The traditional art of weaving Jamdani or Dhakai sarees have been declared by UNESCO as an Intangible Cultural Heritage of Humanity for its unique aesthetic qualities and the skilled craftsmanship that goes in to weaving these sought after sarees. Indigenous to Lucknow in Uttar Pradesh, Chinkankari is a method of delicate hand embroidery that is said to have its roots in the Mughal Empire in India. In fact popular legend attributes Nur Jahan with the propagation of chikan art. 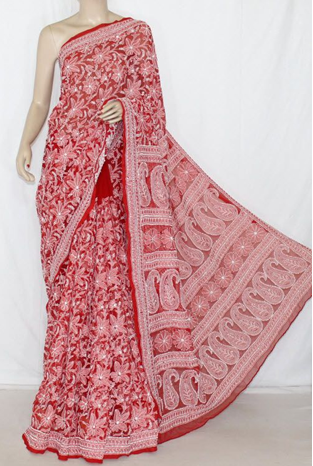 The Lucknowi chikan saree is an exquisite cotton saree that is accentuated with fine chikankari embroidery. With Chikankari embroidery, the use of white thread on pastel shade cotton fabrics is the norm giving the Lucknowi Chikan Saree a delicate and feminine aesthetic appeal. This beautiful cotton saree variation is easily available online and is worth adding to your wardrobe for festive celebrations. Orissa which is neighboring state to West Bengal shares a lot of cultural and lingual similarities with Bengal and the love for handloom cotton saree is one such similarity. 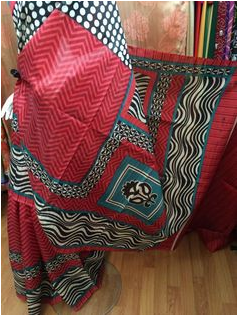 Orissa has its own variation of the cotton saree known as the Sambhalpuri saree which is popular all over India. The Sambhalpuri saree is known for its exquisite pallu designs. Bright vibrant colors and the lightweight fabric of this cotton saree add to its appeal. The Sambhalpuri saree is collector’s item and is highly sought after by saree enthusiasts. South India is another example of a region in India where the saree dominates and this fact is most apparent in the great state of Tamil Nadu which is the go to destination for sought after Kanjivaram silk and cotton sarees. These sarees are known for their exquisite temple borders and the Kanjivaram cotton saree is sought after for its aesthetic appeal and the comfort it provides during hot summers. This beautiful cotton saree variation is easily available online and is worth adding to your wardrobe for festive celebrations. The vibrant and resplendent Kotki saree from the saree loving region of Bengal is proof enough of why one should try sourcing exquisite sarees from Bengal. The Kotki saree is a lightweight cotton saree that is known for its aesthetically appealing temple borders. This saree is preferred by Bengalis for festive occasions however its popularity reaches far and wide all over India. 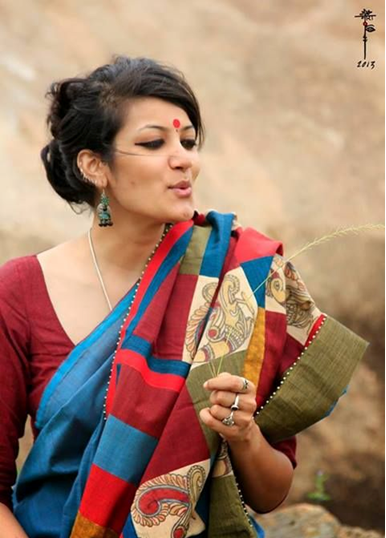 We go back to Orissa again to discover the wonders of the sought after Bomkai saree. This beautiful saree is best characterized by its subtle aesthetic appeal. The Bomkai saree is distinguished by tiny dots that form floral and foliage patterns on the body and pallu of the saree. The Bomkai saree is easily available online and this lightweight cotton saree is sure to fetch you a ton of compliments at festive and celebratory events. As mentioned before, Southern India is the place to go to for exquisite sarees and the Pochampally saree is one such example. This beautiful saree is available both in cotton and silk variations and this saree is sought after for the exquisite and bold patterns and designs and vibrant colors. The Pochampally is famous all over India and is the prefferdsaree for festive and wedding wear. This beautiful cotton saree variation is easily available online and is worth adding to your wardrobe. I enjoy Web Development ,writing and I write quality guest posts on topics of my interest and passion. I have been doing this since my college days. My special interests are in Web Development ,fashion, Jewelry and following the latest trends in these areas.